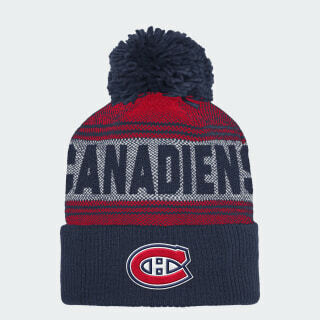 A cool-weather knit hat for Montreal fans. Keep out the chill and show your allegiance to the Canadiens. This knit beanie has a fold-up cuff for a comfortable head-hugging fit. Montreal hockey details and a pompom on top finish the cosy look.